My first official Panbo trip wasn&apos;t what I expected; it was much better. 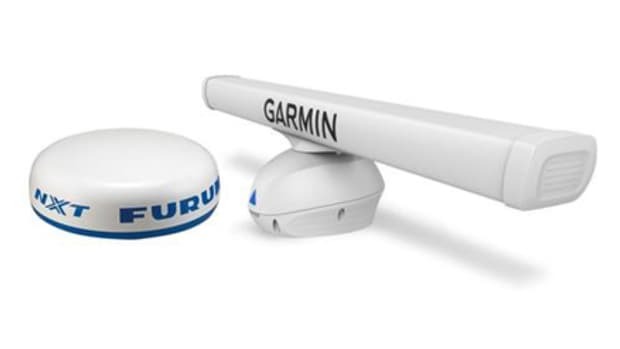 Garmin smartly decided to expand on their Miami Boat Show Fantom radar demo and many recent product introductions by inviting electronics writers to spend two full days with four well equipped saltwater fishing boats in Miami. 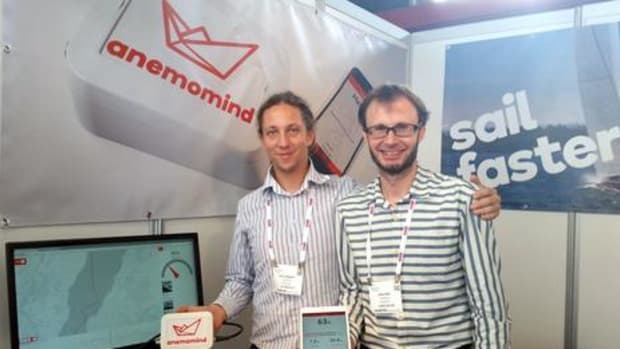 While Ben suggested some topics to cover, the story I must tell largely involves kites and sailfish, though the electronics could not be ignored. Garmin came to the party loaded with some pretty awesome accessory gear. Was this really aQuatix watchconvention? It seemed I was the only person without one. 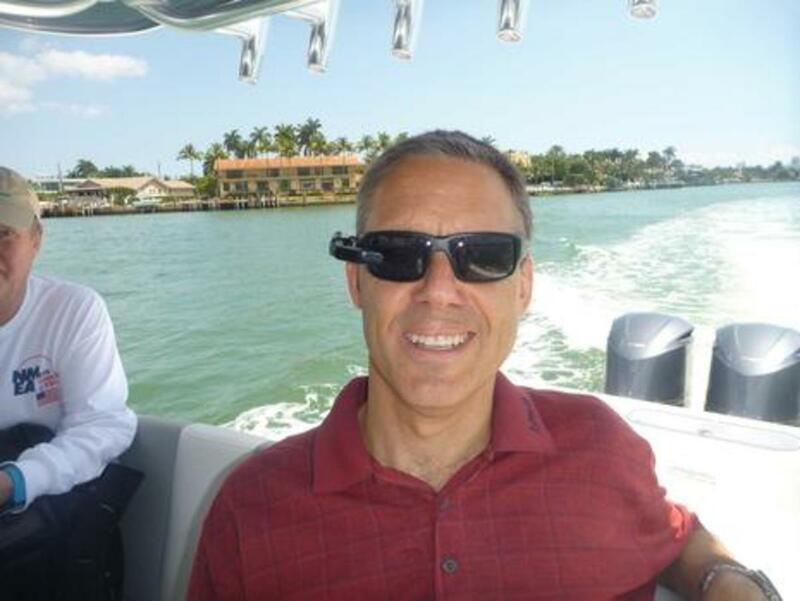 Garmin Field Service Engineer David DeVos took us out the first morning to do some testing on Biscayne Bay in his own Contender 25 (above, and you&apos;ll see a photo taken from his own VIRB XE cam mount at the very end). I was amazed by the Panoptix PS 21 LiveVü forward looking multi-beam phase-array technology that we saw in action. It worked well despite the trolling motor transducer being temporarily mounted to the side of the boat using suction cups. The noise you see in the image in the top left corner seemed largely caused by that less-than-ideal mounting position. 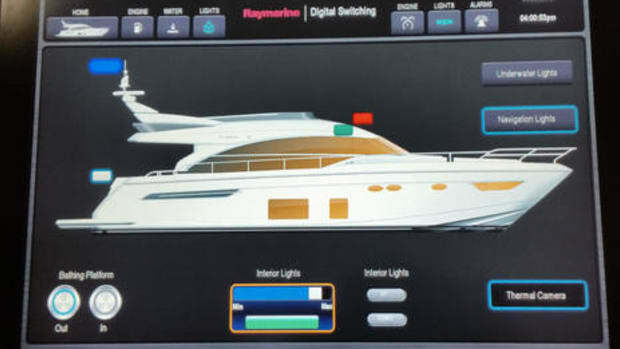 A PS21 transom mount is also available and the hopefully inevitable thru hull version can&apos;t come soon enough. 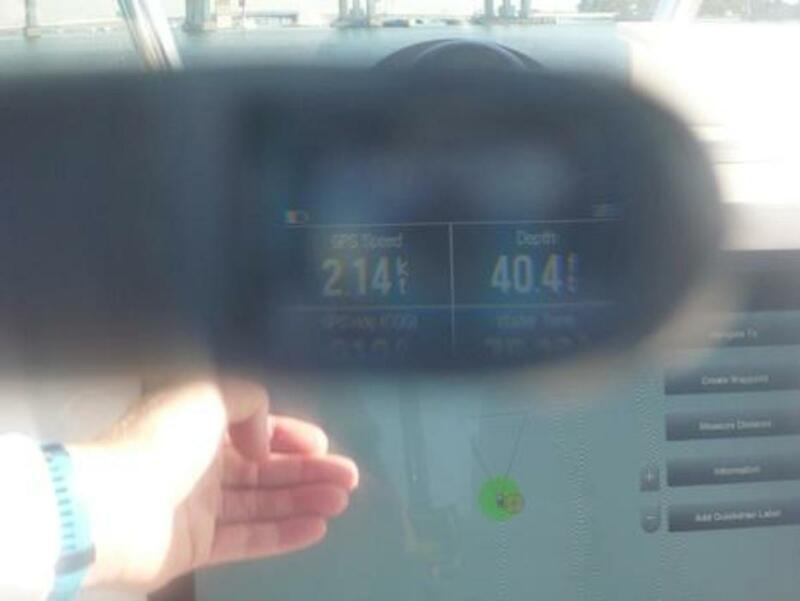 Casting a lure off the bow of the boat and reeling it home showed a pulsing red dot on the screen in real time. 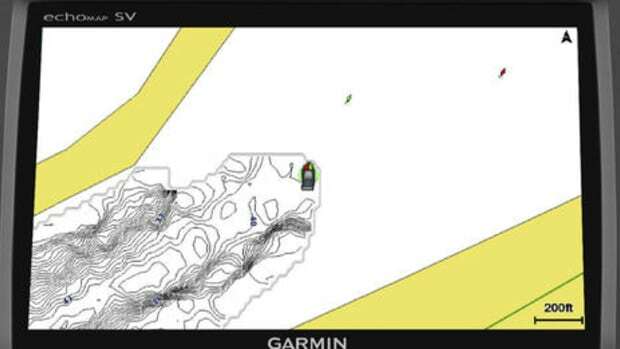 At least one Garmin Pro claims Panoptix has shown him a fish not interested in his lure, so he caught it with another. ...and it doesn&apos;t look too weird, right? 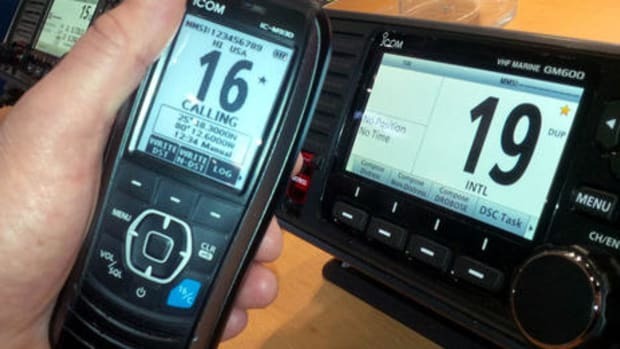 I would definitely use this as a highly mobile tool for bottom fishing, specifically for keeping an eye on depth and speed when drifting. The trick to not snagging lures is to jig slightly off the bottom. I&apos;d love an added depth trend feature so I&apos;m prepared to reel in if approaching a sudden bottom rise. 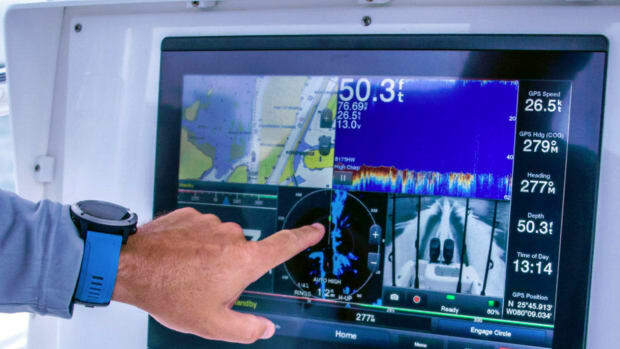 Garmin&apos;s new Fantom radar impressed me with its MotionScope (Doppler) feature that can color targets moving towards you red and away from you green, and there was talk that engineers are hard at work on further improvements. 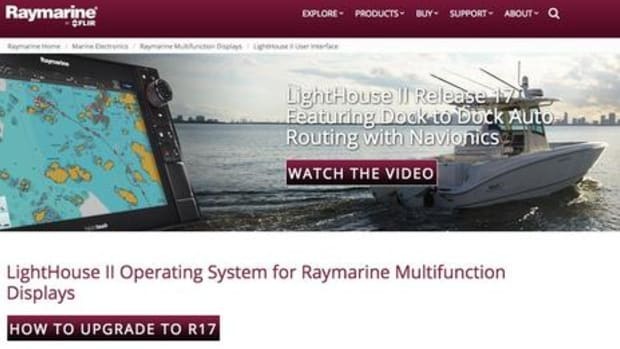 The fishing and Garmin pros all seemed to agree that hard-core sport fishermen will benefit from the safety of having a Fantom (with MotionScope) for short and medium range radar and a big xHD2 (magnetron based) unit for spotting bird flocks at long distance (because the same surface bait activity also attracts big fish). It&apos;s an expensive option, but in big money fishing tournaments every little edge can mean big rewards. 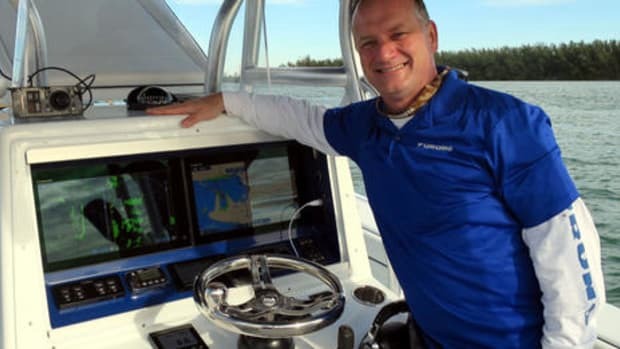 Captain Steve Sprague of Garmin sponsored Team Tuppens helped explain bird radar here, and in Miami he talked about how he uses his two GPSMap 7616s to hunt for tournament winning Wahoo. Before he goes out he checks the surface temperature chart overlay feature sourced from Sirius satellite data. He also carefully guards waypoints he has named from some of his best fishing spots. 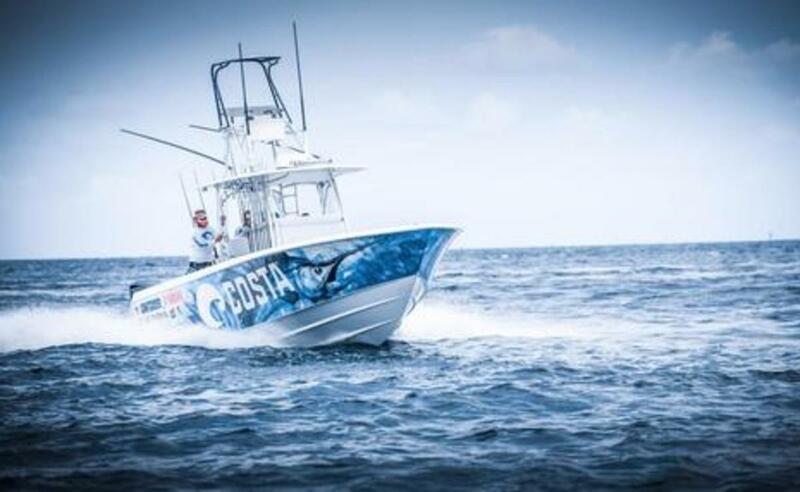 Steve clearly knows his stuff and his "custom built" Jupiter 38 wrapped in hull protecting graphics (below) would scare me out of a fishing ground. Team Tuppens is currently third in the Southern Kingfish Association power rankings. Tuesday afternoon was a beautiful day with sunny skies, 75 degree water and light winds. 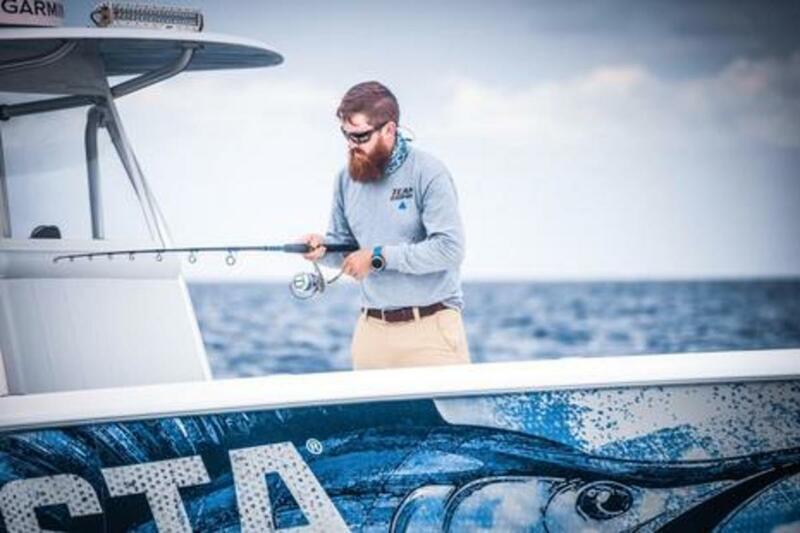 Team Panbo (myself, Ben and Garmin&apos;s Mike Range) set out to win Garmin&apos;s media fishing derby with an afternoon trip on Captain Jon Cooper&apos;s Contender 39. Jon&apos;s center console is an amazing fishing platform with lots of deck on which to maneuver (the importance of which I discovered later), and even a foldable steering/spotting platform on top of the hardtop. 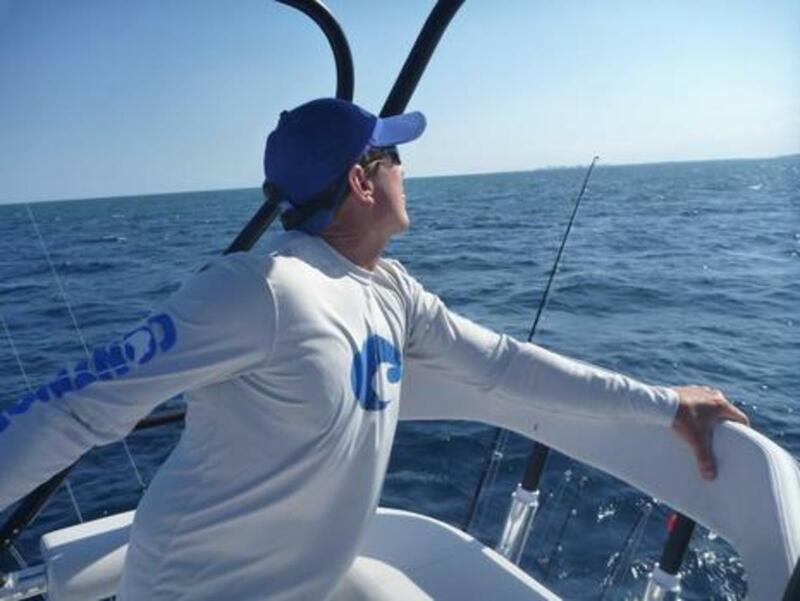 Jon is a member of the three time world sailfish champion Get Lit fishing team, one of the most decorated billfish teams ever. Rounding out the crew was Bill Hinckley, a commercial fisherman and rugged outdoorsman. Bill and I had a good laugh when we discovered that last summer he got married near Vancouver (where I live) in the place I was conceived. Was this a good omen? 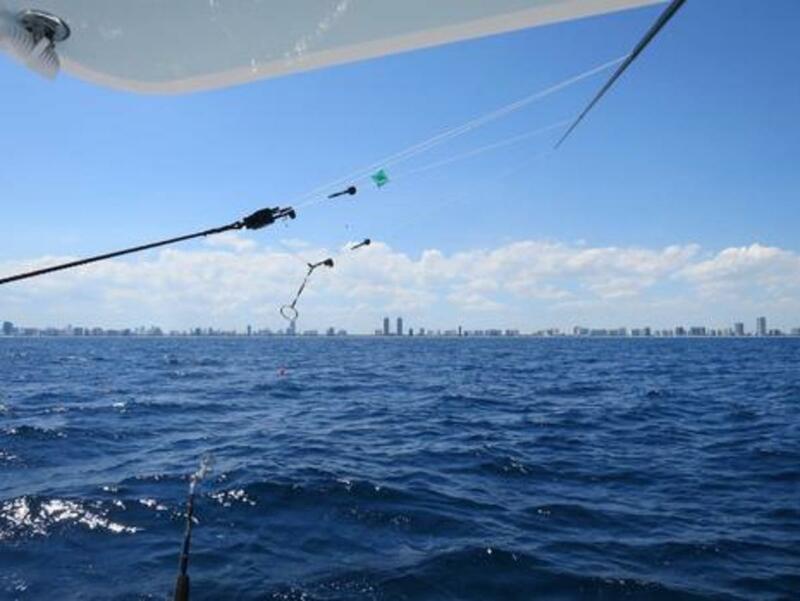 At this time of year sailfish swim very close to South Beach in Miami. 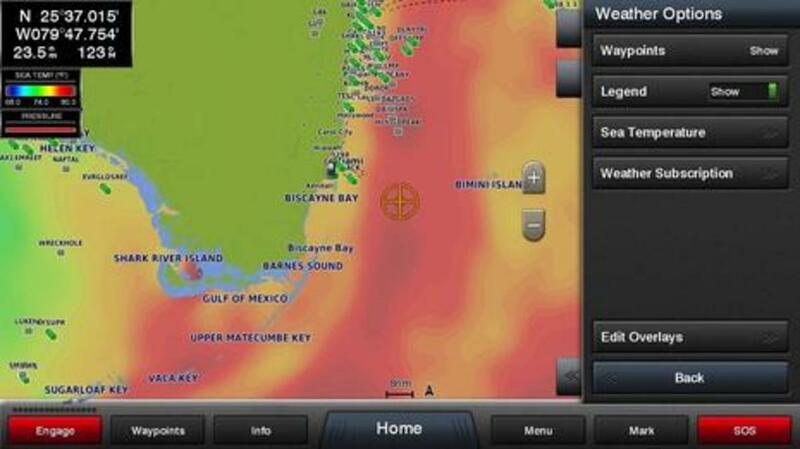 The best place to fish them is a few miles offshore near the current transition where the water color changes. The fish like an easy ride and follow the current. Where currents meet acts as a kind of wall forcing the fish to divert and follow the path of least resistance. 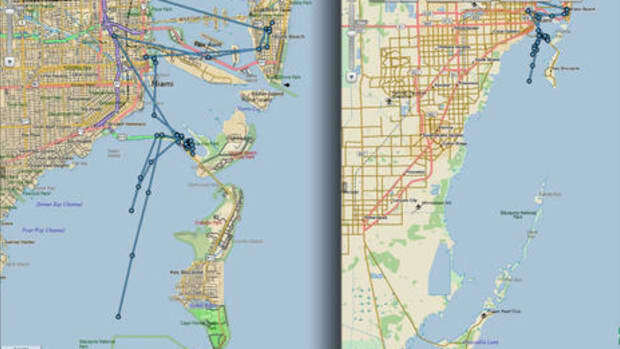 These transition areas are good places to fish and it was here close to Miami where we slowed. Captain Jon didn&apos;t need any fancy electronics to tell him where to take us. A cell phone did seem useful to gather the latest intelligence from his network of captains. 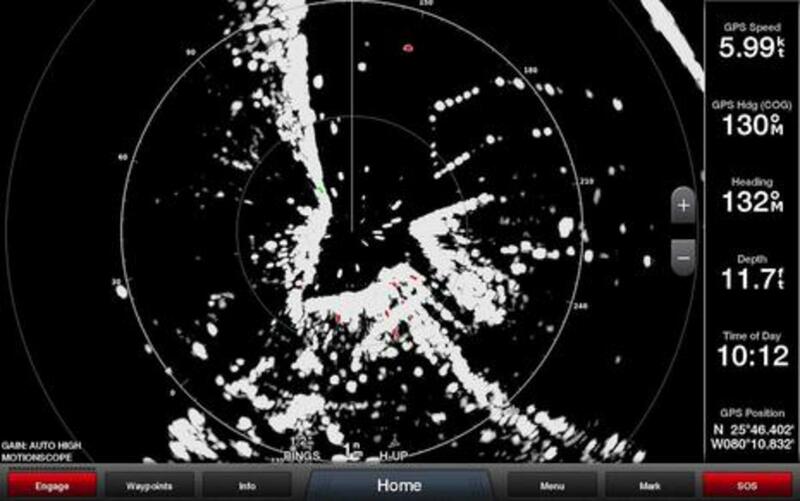 He explained that he looks for signs like what the current is doing, the wind, birds, other boats getting hits, etc. Old school experience and Canuck luck was what we&apos;d be relying on. Red floats were also attached to act as an airborne reference so you can look horizontally and adjust and keep your bait in the water. At the end of each rod&apos;s line a herring was attached with an elastic band threaded through the back with a long needle so it would stay swimming just below the surface. All six rods were placed in a row so that one person could adjust the lines to keep the bait from becoming airborne. I spent most of the time observing and getting in the way. Ben hung out at the lower helm while Captain Jon drove and spotted from the small fly bridge. The kites are weighted in opposite corners so that they fly in opposite directions. It works amazingly well in winds "up to 40 knots" -- partially proven by our brave competition the following day when some nasty weather moved in (lots of kite fishing detail here). 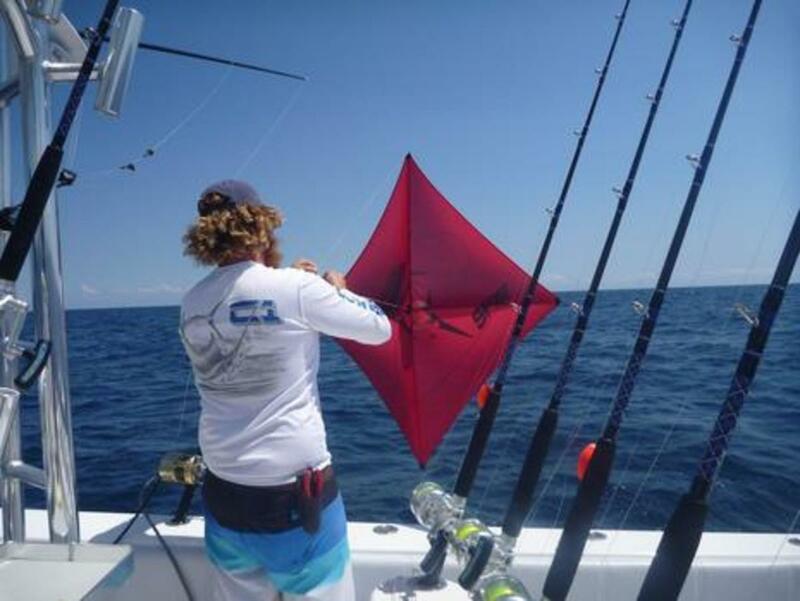 Most exciting is when other sailfish boats come along and the captains not only have to keep their own kites in the air but also carefully avoid a kite fight. 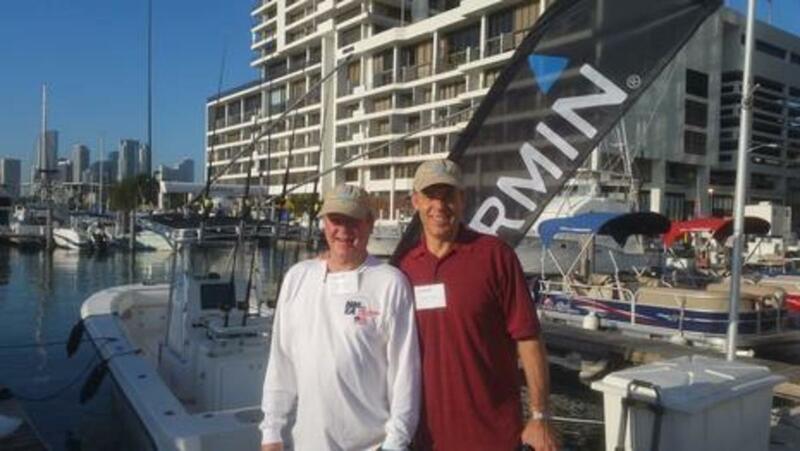 We waited for a strike while Garmin Mike bottom fished 125&apos; down to the bottom. It wasn&apos;t long before Mike&apos;s jigging paid off and up came a monster from the deep. A small monster mind you, a trigger fish with very sharp teeth. Bill and I both swapped triggerfish stories. A triggerfish had bitten him and one had angrily removed a large chunk of my fin while I was scuba diving in Thailand. We were clearly not off to a good start, and after a curious hammerhead shark paid us a visit, we moved. About a mile back in the direction we came Bill deployed the whole setup all over again. I was thirsty from watching him work so hard and drank Bud while Ben got his test watch and VIRB camera both networked with the (both) gorgeous Garmin GPSMAP 7616xsv and "plain" 7616 MFDs. It wasn&apos;t long before Jon yelled "you got a hit." Just then a sailfish jumped clear out of the water and my heart skipped a beat. I glanced at the six rods to see which one was active and the line went slack immediately. 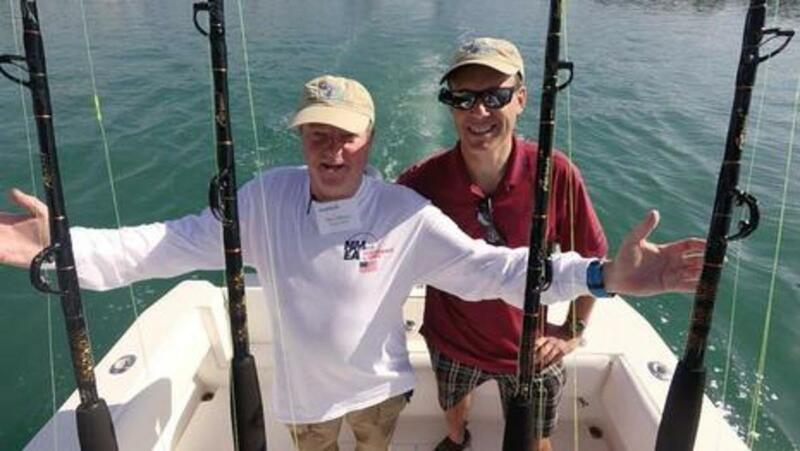 Bill yelled, "I don&apos;t think he&apos;s hooked" but I grabbed the rod I thought it was on and started reeling. More reeling and nothing? Bill thought the fish had escaped so I handed him the rod and he adjusted the reel tension and reeled some more. I had been slipping line while reeling -- rookie mistake. All of a sudden the line went taught and it was game on! He handed me back the rod just as a second rod took a strike. Mike and I danced around the aft deck trying to stay untangled and I tried to reel in this incredibly heavy sailfish. A waist belt was attached and I moved to the bow to try to stop the fish from wrapping the line under the hull. 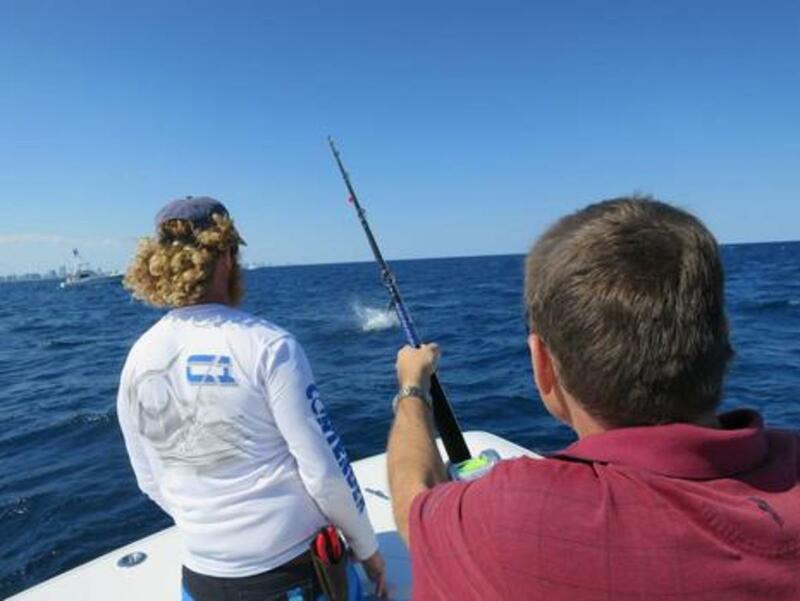 Ten minutes or so of exhausting work brought a 50-60lb sailfish to the leader and Bill reached down bare handed to cut the fish free (they say the hook rusts away in a week). Mike similarly "landed" his prize and then while Bill was reeling a third rod in to do a bait check, he had a strike right next to the boat. Rounding out the day was a fourth strike (which Mike nailed). Four sailfish to Team Panbo. Ben was clearly pleased but was more excited that he was able to control the camera three different Garmin ways and could have used his phone too (sailfish action video in production, he says). We de-briefed, had a laugh and returned to base to swap fish stories. And the prize went to...... Team Panbo for biggest fish! 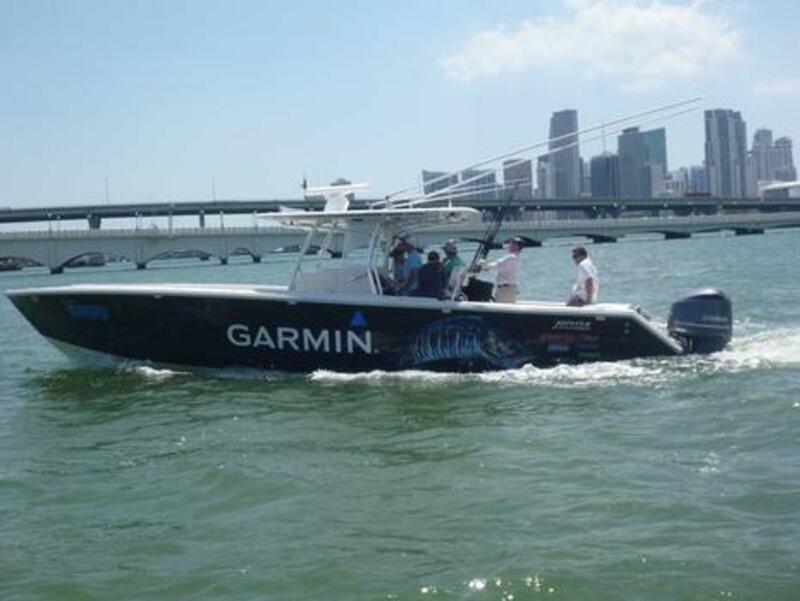 Garmin really impressed with how well planned the days were (despite the bad weather on day 2), how conveniently located we were to the boats, and how much hospitality they extended to all of us. A big shout out to Carly Hysell from Garmin&apos;s media relations who gets my sincere thanks for inviting me to such a fun and educational event.